SaddleDrunk is a custom cycling apparel company based in London. 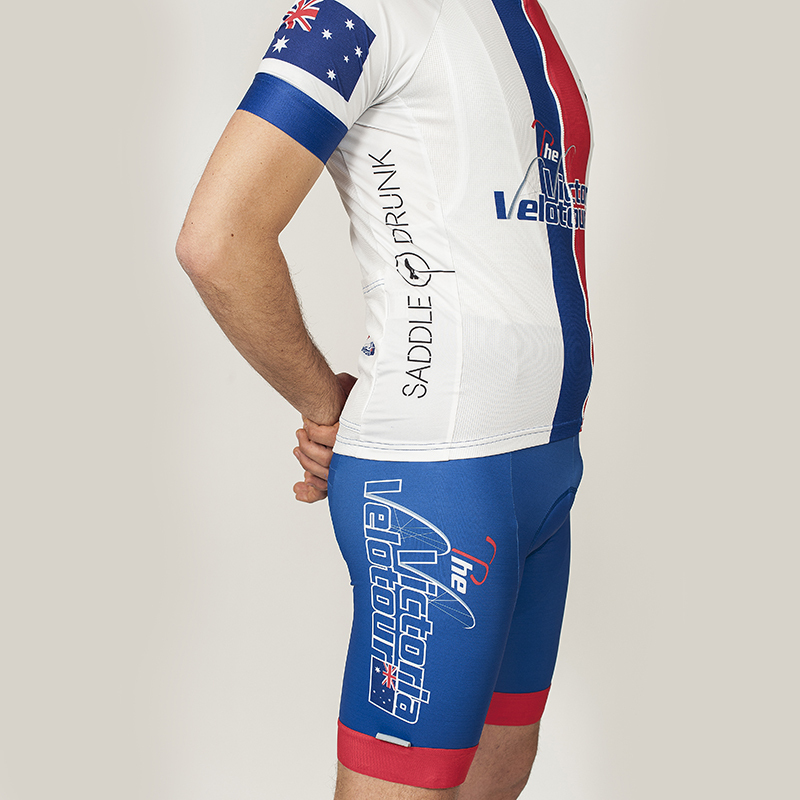 We design and manufacture bespoke, high quality garments for cyclists and triathletes, which are hand-tailored in Italy. We pride ourselves in creating a genuinely unique apparel service, and respond to the evolving needs and ambitions of our clients. We are pleased to announce our Custom Apparel Department; a team that brings together the same passion for design and quality to your club, charity-rides, company or individual-kit that we demonstrate when designing our own SaddleDrunk products. We work closely with our clients, so that the design and quality of their bespoke kit meets their requirements, including colour combinations, placement of logos and sponsorship space. We have worked with a number of charities, including Prostate Cancer UK, providing a comfortable and striking kit to bring maximum exposure for their cause. Also, we work alongside cycling and triathlon clubs to realise their vision when out on their club rides and events. A recent collaboration with AFC Bournemouth and one of their leading players, Matt Ritchie, who recently debuted with the Scottish National Football Team, has provided SaddleDrunk with the opportunity to produce a number of superb cycling kits, including a limited edition Championship kit, which befits a Football Association Premiership Club. We are looking to extend our services to a wider range of sporting clubs, as cycling continues to be a great addition to training in all disciplines, whether football, rugby, cricket, running or swimming. We would welcome an initial meeting with yourselves, together with our Head of Production and Chief Designer, to discuss your requirements, with a desire to create an on-going affiliation.